If you have a 12-year-old with Autism, you want to give them the very best in all aspects of life, including their toys! 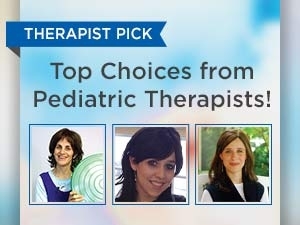 Check out Fun and Function’s staff picks for the best toys designed for 12-year-olds with Autism. Jumping Board: This heavy-duty board is used just like a trampoline, and is perfect for kids to release built-up energy. It’s also the perfect place for 12-year-olds to practice stepping up and down, as well as balancing. Our Jumping Board is safe for use indoors and out, and was designed with a hard, wooden base to jump on and coated springs that will last longer than a traditional trampoline. This sensory toy is ideal for kids who have low tone, as jumping and balancing can help improve their strength. It’s also great for energetic kids who are constantly on the move! Air Lite Tire Swing: Our fun inflatable tire swing is perfect for 12-year-olds with Autism, but fun for kids of all ages and abilities to ride. It can be used to work on motor planning, lower extremity strength training, and balance practice. Multiple kids can ride this swing at the same time and work together to swing about, or one child can simply ride alone and explore their motor planning skills. The Air Lite Tire Swing is height-adjustable and can be used from a single or double-point, depending on how you want to ride. It’s made out of coast-guard material and is easy to inflate and install in school sensory environments as well as homes! Stretch Denim Vest: This vest has a sleek and stylish look in black stretch-denim! It features an easy-to-use zipper and inside pockets that have two pounds of weight inside of them. These weights can be added or removed as needed, providing your 12-year-old with the weight that they need to feel comfortable at all times. 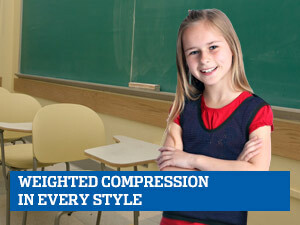 Unlike other weighted vest, ours is designed to look like a typical denim vest, allowing your child to feel more comfortable wearing it without worrying about fitting in. Smooth Chewy Necklace: Chewies are an excellent toy for kids with autism, but they aren’t always the most stylish. At Fun and Function, our Smooth Chewy Necklace is cool-looking and fun to play with! We also carry a Tie Dye T-Shirt Necklace, which doubles as a fidget toy. Your child can wear these necklace any time, whether they’re traveling to or from school, during long car trips, and even at home. By using these chewies, your 12-year-old will be able to calm themselves down, center their focus, and cater to any other oral motor needs. It can be washed and reused over and over for hours of sensory fun! 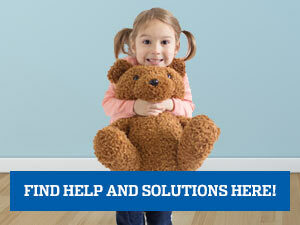 Teen Break Box: When kids start to get restless and start to lose focus, the Break Box is there to save the day! This toy is perfect for 12-year-olds with Autism, ADHD, and other sensory processing disorders. The box contains tools that aid in refining motor skills, working on tactile exploration and hand-eye coordination, and even toys that apply a calming pressure to sooth your child. It features items like hand-eye coordination scarves, a pressure-foam roller, weighted tactile beanbags, bumpy gel cushions, and more. The Break Box is ideal for classroom settings, as students can self regulate their energy and rechanneling their focus through play with little to no disruption to the rest of the class. Cozy Canoe: This toy is a perfect deep pressure tool that can help create calm. 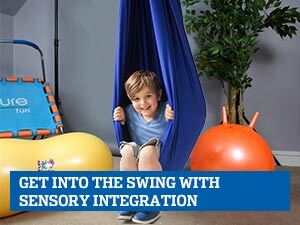 It is ideal for sensory integration therapy as well as play! The Cozy Canoe is easy to blow up and features two outer chambers with handles. 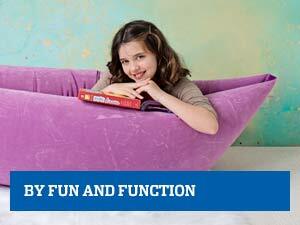 The Cozy Canoe is easy for your 12-year-old to rock, play, read, or relax! The Cozy Canoe can also be turned sideways to create a rocking boat fit for two, perfect to play on with friends or siblings. Keep in mind that toys that cater to chewing, moving and hand-eye coordination are all great activities for children with sensory processing disorders. For more information on the perfect toys for 12-year-olds with Autism, contact the therapists at Fun and Function today!